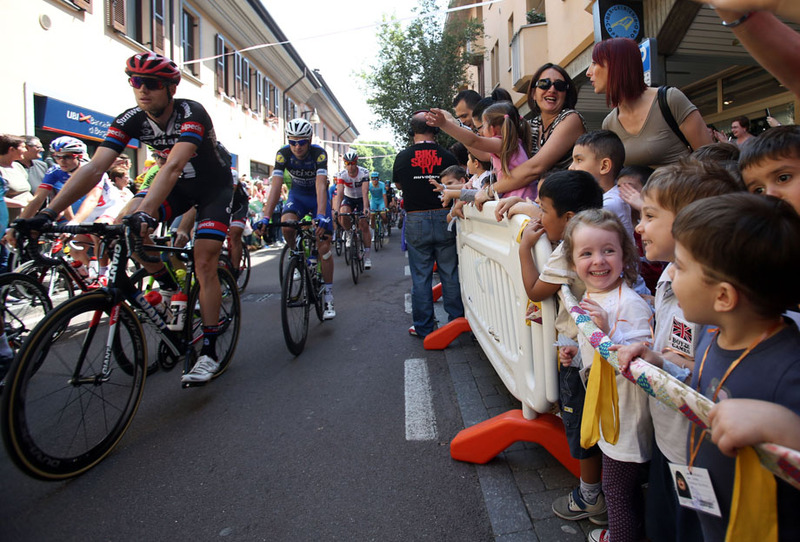 PezCycling News - What's Cool In Road Cycling : GIRO’16: Good Morning Muggiò! 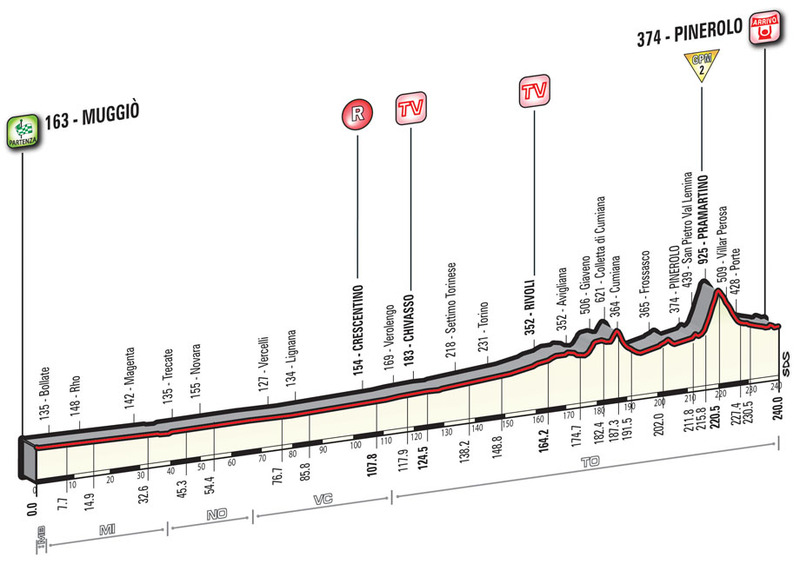 Muggiò, 26 May 2016 – Good morning from Stage 18 of the Giro d'Italia, Muggiò to Pinerolo, at 240km the longest stage of this year's Giro with a demanding finale. The group, 161 riders strong, passed km 0 at 11.22. Did not start: dossard nr 213, Belletti. During the stage, 15 King of the Mountains points are up for grabs, with time bonuses of 13 seconds and 45 points towards the points classification. After running flat for 170km, this stage will have a more challenging finale. The route initially runs across the entire north-western Po Plain, from Milano to Torino, along mainly straight and wide roads. The stage course cuts across a few major cities, where the usual traffic-calming street furniture are to be found. After reaching Pinerolo (and clearing Colletta di Cumiana), the route takes a first pass over the finish line, climbs up the steep Via dei Principi d’Acaja stretch, tackles the Pramartino climb (4.6km with an average 10.4% gradient) and goes back to Pinerolo, to cover the last 3km, after a very technical descent. 2,500m before the finish, the route turns left and climbs up Via Principi d’Acaja (450m with an average 14% gradient and peaks of 20%, on setts-paved and narrow road). 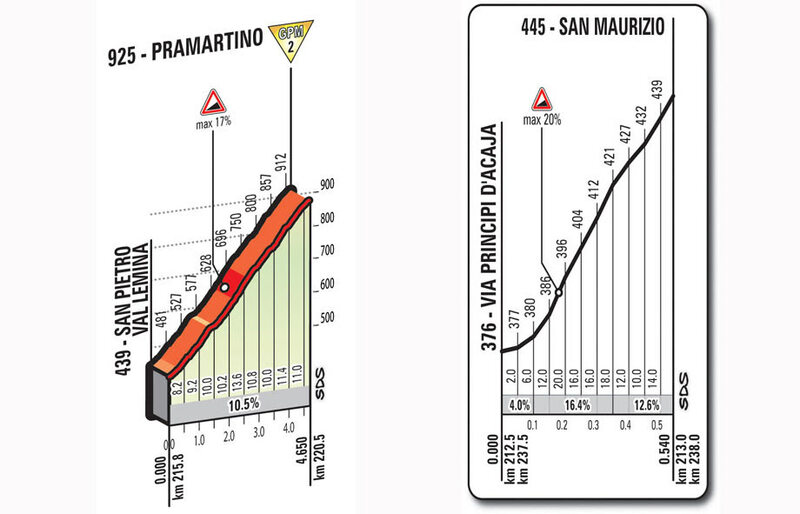 Next is a steep and harsh descent leading into Pinerolo. The last 1,500m run on level roads, with just a few bends and a short stretch on stone-slab paving. The finish line is set at the end of an 8m wide, 350m long asphalt home straight. Muggiò, a city of 25,000 inhabitants, borders Monza (the provincial capital), not far from the majestic Royal Villa (Villa Reale), a neoclassical palace designed by architect Giuseppe Piermarini and unveiled in 1780. Muggiò was hometown to cyclists Giacomo Nizzolo and Roberto Pistore (1971); and to Arianna Errigo, multiple Olympic gold medallist and World Champion in fencing. In the nearby Novate Milanese, hometown to the legendary Giro organiser, Vincenzo Torriani (1917-1996), a bas-relief will be unveiled in his honour on stage day. The scene of an important battle of the Second War of Italian Independence on June 4 1859, won by the Franco-Piedmontese coalition against the Austrian army. The signature landmark of Novara is the monumental cupola of the cathedral of San Gaudenzio by Alessandro Antonelli, who also designed the Mole Antonelliana in Turin. The territory runs flat among the rice paddies. Novara hosted one Giro stage finish in 1968, with victory going to Eddy Merckx. The “European capital of rice” has a valuable, rich and remarkable architectural heritage, which includes the neoclassical Duomo and the early-13-century Basilica of Sant’Andrea, the symbol of the city. Vercelli hosted just one Giro stage finish, back in 1992, when Mario Cipollini was victorious. Crescentino was hometown to the conductor Cinico Angelini (1901-1983). An ancient abbey and a stately castle rise in the hamlet of San Genuario. Chivasso is where Lancia cars were manufactured up to 1990. The route cuts across Turin, the regional capital. 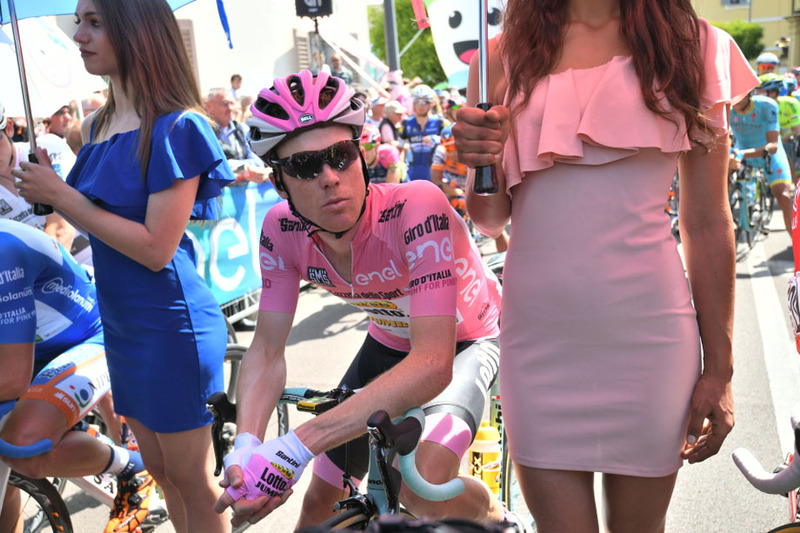 This year the city will host the big finish of the Corsa Rosa. On the outskirts of Turin, Rivoli’s castle, a former Residence of the Royal House of Savoy, and current seat of the local contemporary art museum, rises in a prominent position. Avigliana sits on the gentle morainic hills at the entrance of the Susa Valley. It is home to two distinctive lakes (Lago Grande and Lago Piccolo), and has a rich heritage that includes the sanctuary of Madonna dei Laghi and the majestic Sacra di San Michele. Rising in a prominent position on a rocky spur in the village of Sant’Ambrogio Torinese is an imposing 12-century Romanesque-Gothic monumental abbey, and a symbol of the region. The mediaeval architectures of the historic district of Avigliana have survived largely unspoiled to the present day. Avigliana was hometown to Emilio Ostorero (1934), a legendary motocross rider, who won 16 national titles and a wealth of international wins. Surrounded by mountains and dotted with charming buildings, Cumiana was hometown to Francesco Camusso (1908-1995), a powerful climber and 1931 Giro d’Italia winner. This climb was featured for the first time in the Giro route in 2009, and then again in the Tour de France course in 2011. Both stages finished in Pinerolo. Villar Perosa immediately recalls the name of the Agnelli family, FIAT and Juventus F.C. owners, which had a strong tie of affection with this territory. The old town centre rises on the hill of San Maurizio. Notable sights include the late-Gothic church of the same name, and a number of historical buildings related to the House of Acaja, and the Duomo of San Donato which is located in the square bearing the same name. The city also served as a defensive stronghold; the citadel was said to be the place where the Man in the Iron Mask was held prisoner; the character that inspired Alexandre Dumas. Pinerolo first became acquainted with the Giro back in 1949, when Fausto Coppi nailed a legendary stage win 11’52” ahead of Bartali and Alfredo Martini. 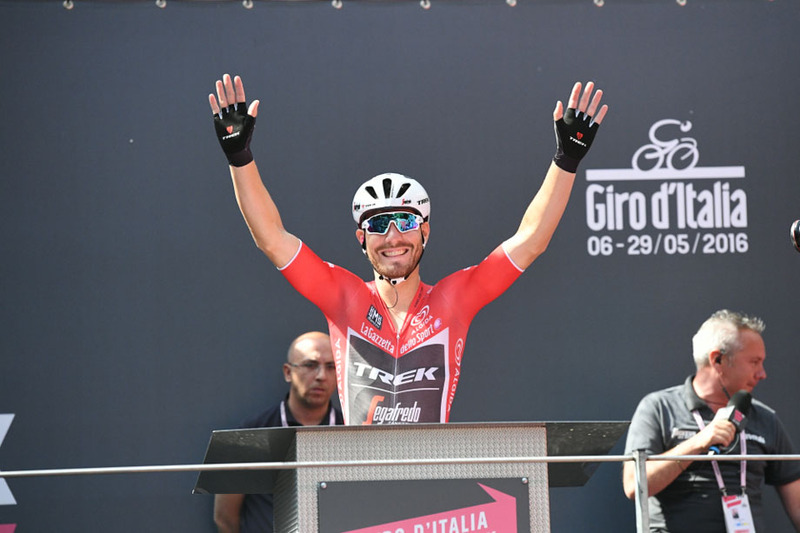 More recently, victory went to Bitossi in 1964, Giuseppe Saronni in 1982, Gabriele Balducci – th Tuscan sprinter – in 2007 and to Danilo Di Luca in 2009. During yesterday's stage, over 2.6 metric tons of rubbish were collected, 87% of which will be recycled. 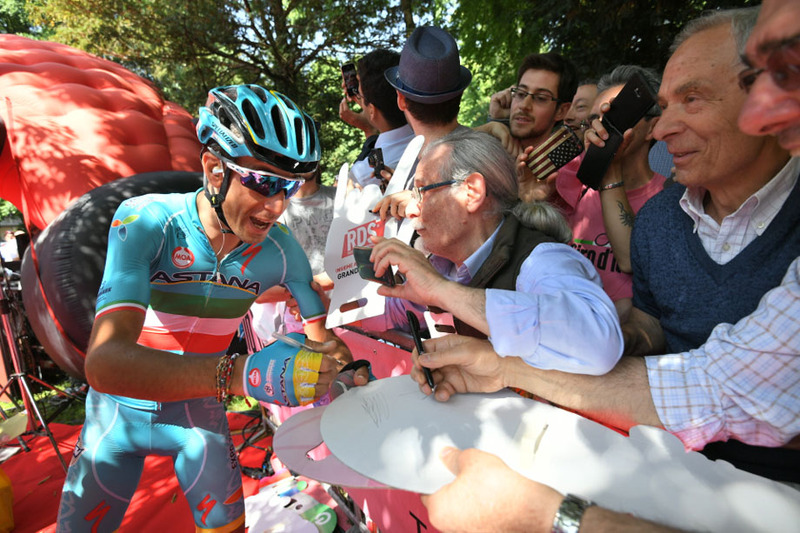 Over 38 tons of rubbish has been recycled so far at the Giro.